We're committed to growing good, safe food for you and this land. We are as committed as ever to growing good, safe food in a manner that will continue to improve our land and preserve its agricultural value for future generations. In addition to vegetables, we offer a broad range of culinary herbs, medicinal herbs, and herb based products that are naturally grown & harvested by hand with your health and Mother Earth in mind. 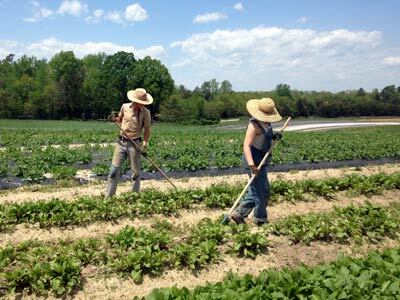 We're always looking for hardworking team members during our growing season for both produce farm and herb farm. "The quality of the produce is excellent, and everything was fresh and flavorful." We are a busy full time working farm. Please understand we are not open to the public.